Often, the opening scene or THE FINAL SHOT in a film is the best part. 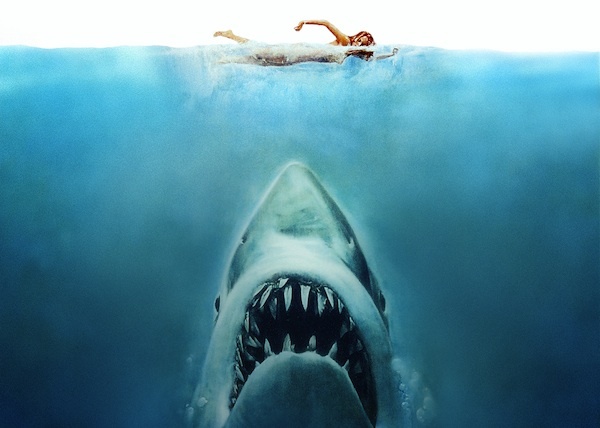 After watching Spielberg’s 1975 classic Jaws, forget the middle; it’s a blur. It would take well over an hour before my heart beat with trepidation again. The opening scene is the hook or an overture to entice the audience to stick around. Now that many movie goers skip the theater and sit on the couch to watch a film, is it harder for directors to create the opening scene? Or maybe movie classics were simply made better? Here’s one of the best openings in film from 1958, Touch of Evil. Orson Welles creates dramatic irony. The camera follows a car through city streets. The viewer knows any second the car will explode. The choreography of camera, car, and pedestrian becomes a Danse Macabre. It’s a great trick executed perfectly. The opening scene performs a few distinct functions. The first is the obvious one. The eye-popping hook. You are so intrigued, you raise your eyebrows in wonder and proceed like Alice down the rabbit hole. Opening fight scenes are a common method to capture your interest, but if it lacks an interesting tie-in to the premise, they can be counter-productive–I’m wishing the fight scene was over so we can get to the story. The Star Wars IV opening scrawl and John Williams score demands your attention. In The Matrix, before Trinity escapes in the telephone booth, the film opens with her voice along with a visual of what is a matrix. The introduction is connected to the conclusion. It’s no coincidence that you hear the betrayer, Cypher, (Joe Panoliano) in the opening scene especially when Trinity asks him if the line is secure. Many times one can predict the last twist or ending based upon the opening scene. From the opening song, you learn a lot about the swagger of Tony and the streets of New York City. A great example of an effective opening song by The Bee Gees. Since many stories concern “man vs. nature” some of the best opening scenes show the grandeur or harshness of nature. I like There Will Be Blood or John Barry’s score combined with the train crossing the countryside in Out of Africa–no wonder Karen Blixen fell in love with East Africa. Other films with impressive openings are The Searchers, Robert Redford’s The Horse Whisperer and A River Runs Through It. Ron Howard’s Far and Away has a great opening scene of the coast of Ireland.Even if you didn’t like the film, the opening scene establishes the heart, the headstrong “Irishness” of Joseph. He’d need that grit along with Shannon to survive as an immigrant. The underrated, John Woo’s Mission Impossible II is my favorite of the franchise due in part to the outstanding cinematography. Tom Cruise scaling a rock wall is a perfect way to show Ethan Hunt’s fearless personality and Tom Cruise as an adrenaline junky. The actor and the character are one. I was clinging to my armchair and hooked immediately. Inglorious Basterds has one of the best opening scenes in recent years depicting the tense interplay between Nazi and Jew while setting up the motivation for Shoshanna’s revenge. Many would agree the excellence of a Quentin Tarantino opening scene is his trademark. Alfred Hitchcock, too. What are some of your favorite opening scenes? It’s difficult to beat Touch of Evil, but I do like the opening scene from Sergio Leone’s Once Upon a Time in the West. It’s a master class in technique and at almost 15 minutes long everything about this scene begs to be absorbed through repeated viewings. Footsteps, drops of water, creaking wood and a buzzing fly all add to the tension, as three hired guns wait for Charles Bronson’s Harmonica to alight the train. The neat thing about the opening scene in Touch of Evil is that it was filmed in one continuous shot even though it spans through several scenes as it moves down the street. Welcome! Yes, you are certainly right. I don’t know if Welles began the technique, but the movement is a dance, it’s hypnotizing. Thanks for commenting. My favorite opening scene is Lord of the Rings – The Two Towers. Where the camera (animation really. But it looks like a camera) flies over the mountains and into it where you revisit the scene with the Balrog from the first movie only this time we follow Gandalf when he falls in the pit and fights with the Balrog. Welcome back, Mr. Plant Electrician, may I ask your first name? Excellent example of Jackson’s ability to capitalize on CGI to create a wonderous setting. I felt the same way about ‘King Kong’, too. No love for Citizen Kane? You have the most interesting and thought provoking posts. Thinking of opening scenes brings back a rush of memories. Howdy, Allen. Geez, thanks! That’s the goal. Thinking and sharing–it’s what makes blogging worthwhile. Your opinion matters. 🙂 Soooo, a favorite opening scene? No ‘Saving Private Ryan’? Maybe a Western or great classic like ‘On the Waterfront’? At this particular moment, I would say that the opening scenes that strike my mind would be “Out of Africa”, “The English Patient” and, perhaps oddly, “The Sheltering Sky”. Tomorrow, I am sure, it would be different. As I sit here thinking about it, I am not sure if a memorable opening scene is driven by what is seen or what is heard. Oh, I think so! The best Western opening is because of Elmer Bernstein’s score from ‘Magnificent Seven’. A great way to establish the climate and grandeur of the area. Lovely Ruth, you are quite right about Bond. I was hoping someone would mention him. ‘Goldeneye’ was draw-dropping–the dam and the leap into the plane. Do you find it a flaw, though? Similar to Indiana Jones opening scenes when the stunts seemed too unbelievable for a mere mortal? My point is there is a balance between cool and ridiculous. I’m glad you mentioned Bond Ruth, because one of the most iconic opening sequences is in ‘The Spy Who Loved Me’, when 007 shot skis straight off the edge of a cliff. We watch him fall thousands of feet and then the Union Jack parachute opens up and the theme tune kicks in. I still cheer every time I watch it. ‘The Spy Who Loved Me’ was released in 1977, the year of the Queen’s Silver Jubilee and to this day it’s reported to be Albert ‘Cubby’ Broccoli’s favourite ever scene in a Bond film. Hey Paul! That’s a GREAT opening scene indeed, I love that song too, one of my all time faves. I didn’t know it was Cubby’s fave, very cool! Of course I have a thing for Dalton’s Bond and his intro in The Living Daylights when they took their time before they finally showed his face is fantastic. It really sets up the tone of the film that’s grittier, less comical and more realistic than Moore’s version. Great post Cindy. So many great openings came to mind. I love that you mentioned There Will Be Blood! The first one that came to my mind was Once Upon a Time in the West and Sergio Leone’s insanely brilliant camera work and use of sound. Jack Elam and the buzzing fly, the creaking weather vane, the water dripping on the guy’s hat. The tension builds up right to when the train arrives. Great, great scene. Ohhhhh! Cliffhanger is a great one! That opening will always stick with me. Me, too. It was the best part of the film. Love all of yours, Cindy, and well as Paul’s pick of Once Upon a Time in the West. I’d only add Spielberg’s stunner of an opening sequence in Close Encounters of the Third Kind. The discovering of Flight 19, the squadron of Grumman TBM Avengers missing for decades, and now somehow in the Sonoran desert, with its masterful transition to the air traffic control center in Indianapolis. Involving no special effects, but indirect reference to what’s going on through their eyes and ears. Saw this first-run and it’s never left me. Thank you very much for commenting, Courtney. Yes, the heist of ‘The Dark Knight’ “What bus driver?” Perfect sequence to show the demented brilliance of the Joker. Gosh, I miss Heath Ledger. What a role. Yes to Magnolia. That’s a hard sequence to pull off, coming from the book, and yet, you are on the edge of your seat, wondering, agreeing, loving the camera angles–the scuba diver in the tree, the fall from the top of the building–nice one. Dream sequences are difficult to do well, too, but it works in 8 1/2. 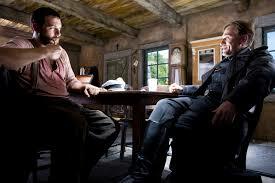 Reading through your post, I kept thinking to myself…PLEASE MENTION INGLOURIOUS BASTERDS! And you did! Yes, so many awesome points here. I’d add The Social Network to the list of recent great opening scenes. That first scene can do so much to engage you or make that engagement hard to invest in. Nice piece! Hi Andrew! I ♥ Christoph Waltz because of this film. He’s so deliciously evil–can’t wait to see him in ‘Spectre’ . The Social Network is a great example! A man with severe social skills, screwing up a date with the perfect girl–love the irony, then, he becomes the global guru of social interactions. Perfect. There are so many I’ll have to think hard. But at the top of mind, Butterfield 8 (1960) . It has a very unique suspenseful opening sequence. Nice post. Hi Nuwansen! Butterfield 8 — nice choice! I love your passion for films in the 60s. Yes, Elizabeth sure could wear a slip and a fur coat, couldn’t she? Thanks, Vinnieh. Sooooo, what favorite opening scene have you liked lately? Any good ones from 2014? That’s a really hard question. I have to agree with you about the opening of Elizabeth, very effectively done. I’ll add a personal favorite. The opening minutes of Hitchcock’s ‘Strangers On A Train’. Where a pair of two tones shoes are the focus of attention through train stations and bustling city sidewalks. The continuous dolly opening of Touch of Evil’ is a classic. As is its contemporary, ‘The Player’ with Tim Robbins. I’ll also add Mickey Rourke choosing his day’s attire from walk in closets of high end clothes and accessories to Frank Sinatra in ‘The Pope Of Greenwich Village’. And the slow pan around a diner’s table, kind of raunchy introduction of the cast of bad guys in Tarantino’s ‘Reservoir Dogs’. Great post – so often an amazing opening shot suggests an amazing film to follow, and I’m rarely disappointed. I’m having trouble recalling any such scenes offhand, though; I’m much better at remembering how a movie ends than how it begins! Dave, yes, endings stay with you, but I like the promise an open scene suggests. Maybe from your 20 top picks of 2014, your favorite? You mentioned in your recent post about Tokyo Tribe being similar to West Side Story which is a perfect example for me and it’s one of my top 10 all-time favorites. I wonder if I would like Tokyo Tribe. Better rent it and find out. What a great idea for a post. When I saw the subject the first three that popped into my head were Jaws, Once Upon a Time in the West, and The Spy Who Loved Me. Before I read down Ingloriuos Basterds jumped up and screamed me too! I see that they all made someone’s list here. Touch of Evil is brilliant, no one mentioned the takeoff on it in The Player which is inventive in a similar way. I also like the black screen that slowly opens on a face in the dark, saying “I believe in America.” I am going to stew on this for a while and come back with some fresh examples. I love it when writers prompt me to consider a concept that I’m inclined to want to spend more time on. Hi Richard, I appreciate your enthusiasm 😉 The Player is a great example and so is The Spy Who Loved Me. I can’t wait to hear more of your favorites. Come back soon! When will you be posting a new article for Curnblog? Went there the other day and read one of your articles. I stopped writing for Curnblog because one of their contributors nurtured an adversarial relationship with me that led to my comments being quarentined pending administrative approval, which resulted in their being posted long after the discussions weetentiatyre ended. i will shortly begin a wordpress blog called “The Cinema Peniteniary Diaries.,” which I hope will draw some new people into reading my book, Cinema Penema penitentiary, as well as providing material for the impending Cinema Pentitentiary part Two. Thnaks for reading the articles! I always enjoy reading you pieces here. Hhmmm. Sorry to hear that. Their loss. There’s a lot of movie buffs, many are entertaining, but only a few are intellectually stimulating. I like learning new things about films. I prefer sites that are more positive than negative and demonstrate an eclectic sensibility. Looking forward to reading your posts, Bill. Let me let me know when you are up and running! I always enjoy a good debate and the exchange of contrary opinions, but have no time for insults anmany things Id agressive hostility towards ideas. You run a personable forum that shows a respect for a wide spectrum of viewpoints. That is one of things I enjoy about it. 🙂 I’ve achieved my goal, then. Personable and respectful. I enjoy people sharing their thoughts without fear they will be ripped apart. Life’s too short for that nonsense. I love it when people take the time to comment. My ego doesn’t need to be right or wrong. I enjoy writing and it’s fun to think about and write about different topics. I enjoy films but that’s not all there is about me. 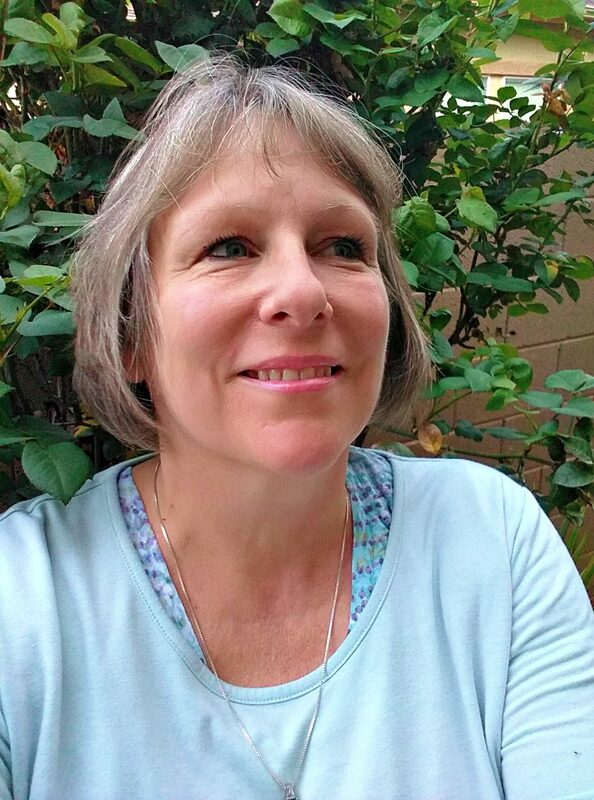 I enjoy writing about a variety of topics and hearing about the adventures of others. Your experience in the entertainment industry makes you a grand addition to the discussions. I had another one last night that I thought was great and it has completely vanished from my brain. The problem was that I was making a list and I did not write them down. Oh well, it may come back but here are three that I did remember. Kevin Costner’s role in “The Big Chill”. Getting dressed for a party? No a funeral, my own. Drew Barrymore, the only “Star” in the movie, makes her short but excellent appearance in “Scream” one of the best uses of a name as bait every in a movie. Welcome back, Richard. I remember watching The Big Chill but I was in my early twenties and too naive to comprehend most of the what was going on. I would like to rewatch it–I remember Close crying in the shower, I remember Kevin Kline running every morning and I remember it was a funeral for a friend and it represented the “me” generation. Funny, I thought that was today’s name 😉 There goes history repeating itself. Anyway, I don’t remember Kevin Costner at all, so I can only nod my head and think about that when I give it a rewatch. Nice call with Beauty and Beast and Drew in Scream. I thought the same thing when Jamie Lee Curtis reprised her role in Halloween number (?) Anyway, your contributions are personal to you and interesting examples. I know you love films from the 80s; I thought ‘Amadeus’ had a great opening. I still think F. Murray Abraham gave a performance for the ages. I love the lead in of Amadeus with the Symphony 25 section. It gets my heart stirring every time I see and hear it. That’s a great add. Costner’s scenes were all cut from the Big Chill (they were flashbacks) but the opening is his body (you never see his face) being dressed for display in his coffin. I remembered the other movie that I thought had a great opening (If you exclude the titles which were also pretty great), Monty Python and the Holy Grail. King Arthur riding an invisible horse accompanied by the sound of hoof steps being reproduced by his lackey with coconuts. That puts you immediately in the mood for all the absurdity to follow. Hahahah. Love Monty Python. Good call. What about Young Frankenstein? Fantastic opening scene. has one really shocking moment, as good as any horror film. And Happy New Year to you and your family! Long time no see! How about recent movies, like the opening of Birdman? Have you seen that yet? Also, I was curious as to what you thought about the movie itself (apologies if you have written about it elsewhere). Sorry it took long to reply. SUPER busy. Anyway, I believe you when you say Birdman entrance is captivating. I regret to say I’ve not made it to a theater which has it playing! I want very much to, though. Thank you, Barbara. Great shouts. I’ve wanted to do a post like this for a while. Temple of Doom is pretty awesome, though my fab is Magnolia.